Should your roof sustain damages because of wear or age, your home life as a whole could deteriorate as power bills go up and comfort levels go down. Luckily, should your Central Florida home suffer from roof damages, you can easily get those damages rectified by calling the roofing contractors at ACC Roofing for a roof repair. 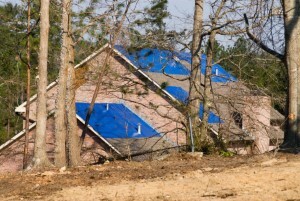 The issues that a broken roof can be expensive, and they can also be dangerous, as they can lead to wood rot and even mold development in your home. As soon as you detect the signs of roof wear, you need to call the experienced roofing company, ACC Roofing, to get a quick and dependable roof repair.